Fun run fundraising beats last year’s total! 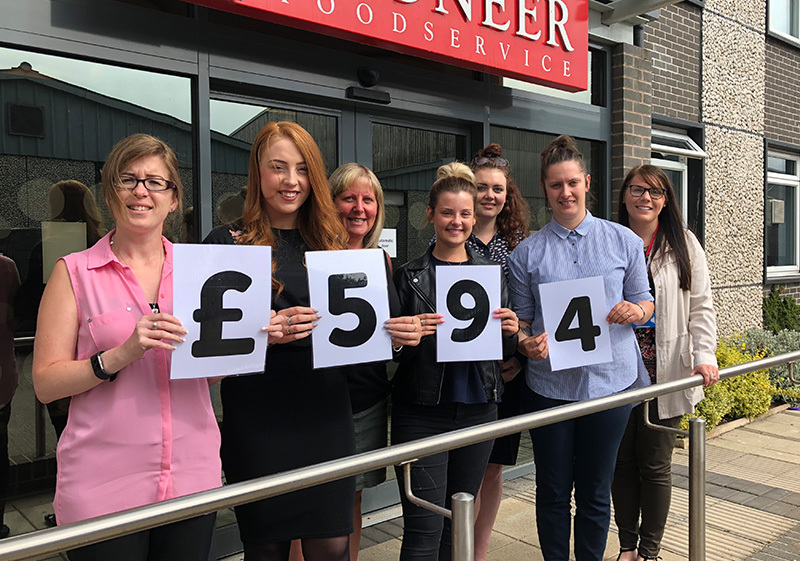 Our team of runners who took part in this year’s Eden Valley Hospice’s Colour Run raised a whopping £594 for the Carlisle charity; beating last year’s fundraising total. 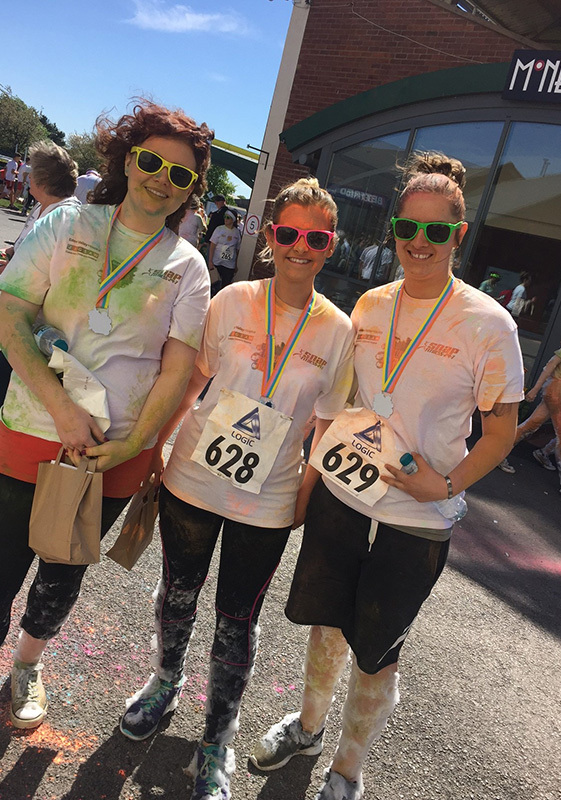 Natalie Bingham, corporate relationship co-ordinator at the hospice popped along to our office on Wednesday 13th June to complete the handover of funds and she had this to say: “We were delighted that Pioneer decided to sponsor our Colour Run for the second year in a row. It was great to work alongside the team again and the fact that they smashed last year’s fundraising total is a real credit to the whole team there. They have managed to raise over £1,100 in the last two years which is amazing! 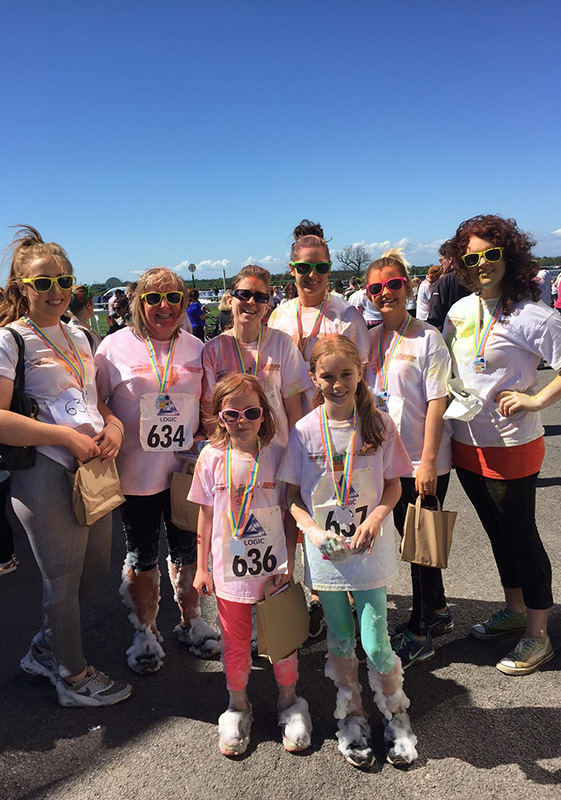 The event took place on Sunday 13th May at Carlisle Racecourse and the colourful run sees participants showered in a rainbow of paint and thousands of bubbles as they complete the course. On the day, the sun shone, making the fun run a relaxed and enjoyable day for athletes of all ages – our team certainly had a great time! Throughout the year we support and take part in many community projects. Catch up with our community news here.